Bill is a depth psychologist, wilderness guide, and agent of cultural evolution. As founder of western Colorado’s Animas Valley Institute in 1981, he has guided thousands of women and men through nature-based initiatory passages, including a contemporary, Western adaptation of the pan-cultural vision quest. Previously, he has been a research psychologist (studying non-ordinary states of consciousness), professor of psychology, psychotherapist, rock musician, and whitewater river guide. Geneen Marie Haugen grew up a little wild, with a run-amok imagination. As a guide to the intertwined mysteries of nature and psyche, she delights in multidimensional listening, and in offering perceptive questions, ceremonies, escapades and reflections that help expand a sense of our own possibilities as individuals (and as a species), and deepen our experience of participation with an intelligent, animate Earth/cosmos. 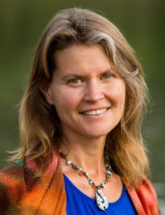 Her writing has appeared in many anthologies and journals, including Spiritual Ecology: The Cry of the Earth; Thomas Berry: Dreamer of the Earth; Written River; Parabola Journal; Kosmos; Langscape; and The Artists Field Guide to Greater Yellowstone (forthcoming). A former tipi-dweller and whitewater river guide, she now lives amidst the creatures and features of southern Utah’s sandstone labyrinth. She is committed to the world-transforming potential of the human imagination in collaboration with the Earth community. Brian Stafford is a guide to the wilderness of nature and soul. He was called out of academic medicine to serve as a guide to the depths and to serve as an agent of cultural awakening and transformation. He guides with humour, playfulness, compassion, discernment, and a deep remembering of thefullness of what each human life can, should, and was meant to be. A native of Colorado and the former holder of an endowed chair and professor of psychiatry and pediatrics, he is an avid outdoorsman, teacher, writer, mentor, partner, and parent. He guides individuals and groups in the Colorado River Basin as well Nosara, Costa Rica, to the place they most long and fear to go – the numinous depths of their soul. Brian currently makes his home in Ojai, California.